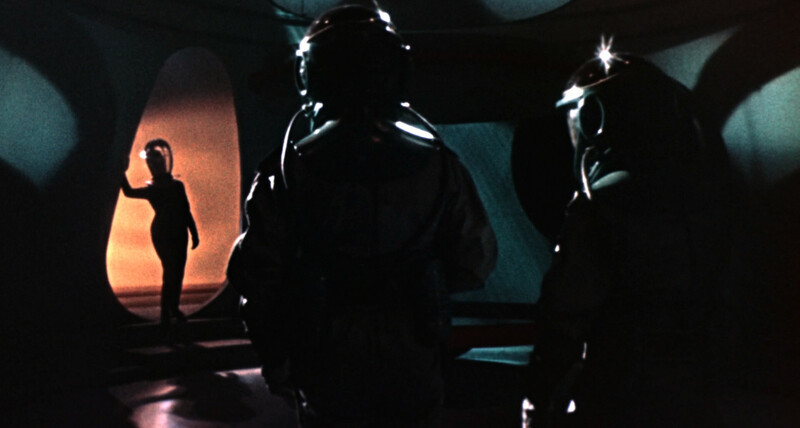 The story is simple: Earth astronauts are on an emergency mission to Mars to rescue the first-contact ambassador from another part of our galaxy. The need to work with the scavenged effects footage makes for some convoluted maneuvering to explain the multiple ships and various bits of crash footage. One team is sent, but they expend too much fuel recovering from the effects of a solar flare. Another ship, of a different make, is then sent to rescue the rescue team. The repurposed footage is neat, so credit to the Soviet film industry. It’d be neat to see what it was all about someday. The queen is base don the figure in this piece of Russian footage. I always love seeing John Saxon and Basil Rathbone, but I’m afraid that they don’t actually bring much to the film. 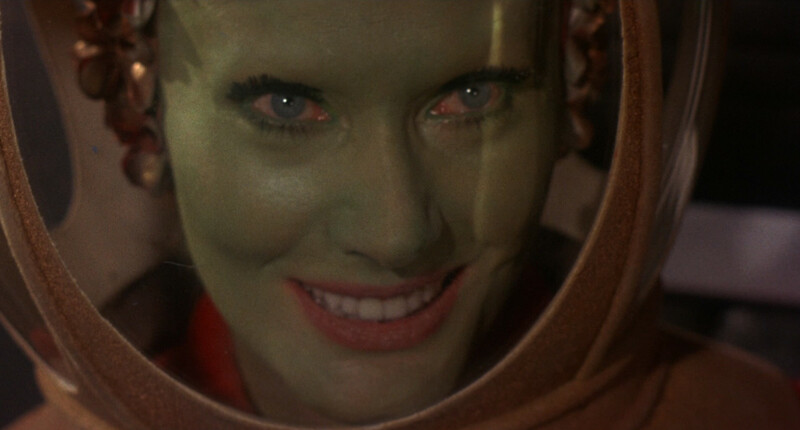 It was a Corman affair, so there wasn’t a lot of time wasted on things like takes and rehearsals. Rathbone put in two days, nearly involving the production in a row with the union for being a half day over contract. Saxon had more time on set, but not still didn’t work more than a week. Under this hasty schedule there was only one person who turned in a strong performance. 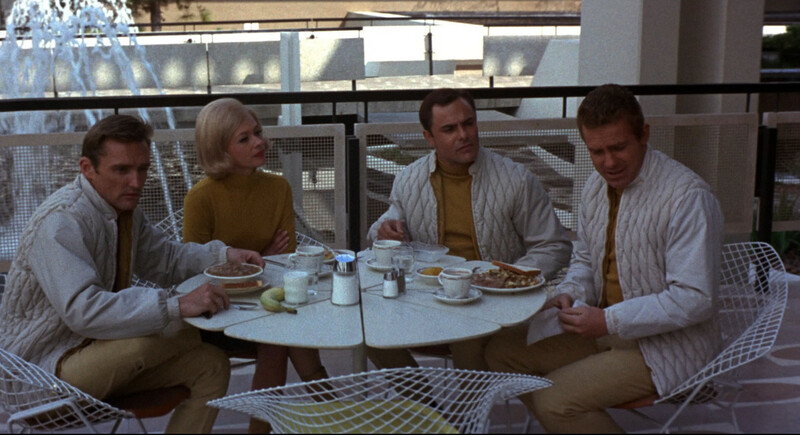 Lunch is interrupted by an announcement. Florence Marly had been doing well in Hollywood until she’d been mistakenly branded a communist and blacklisted during the dark days of the McCarthy Era. Though the charge was later retracted, the damage to her career had been done. So when the producer of Queen of Blood asked her to play the silent part of the alien ambassador, she agreed. Producer George Edwards (co-writer/director of The Attic ) saved the movie by bringing in Marly. Without saying a word, she dominates the film. Her striking appearance gives her an edge, of course. Striking even under green makeup and a matching wig, she is genuinely unearthly in a way that has more to do with manner than costuming. The ambassador seems unaware that the humans can interpret her expressions; she smiles hungrily at the men and recoils from Laura James (Judi Meredith), the sole woman among the rescuers. Most unsettling is the ambassador’s grin, which seems to expose every tooth and promise a hearty chomp. Named only as ? in the credits, the ambassador is indeed an enigma. She’s deceptive yet obvious in her designs, deadly and dangerous but also vulnerable. Her traits sit uncomfortably together and create an aura of unseen depth, much as do the Russian and American footage. 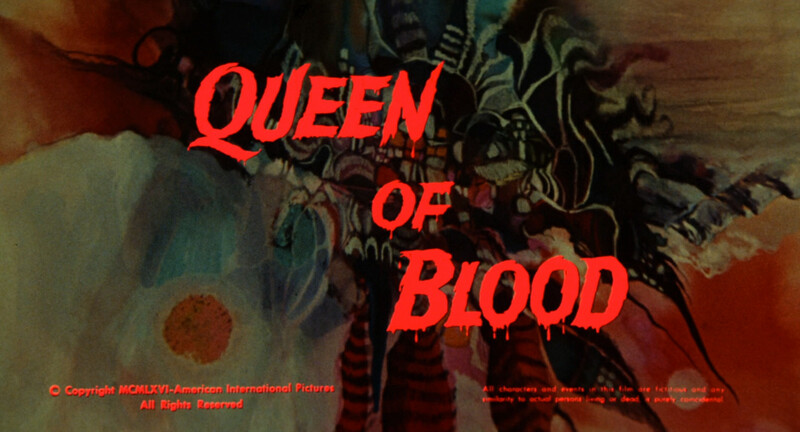 With so much going against it Queen of Blood stands out for the particular way in which it never quite gels, which lends the movie an air of mystery and danger. It’s not more than a curiosity, but it’s really very curious indeed.